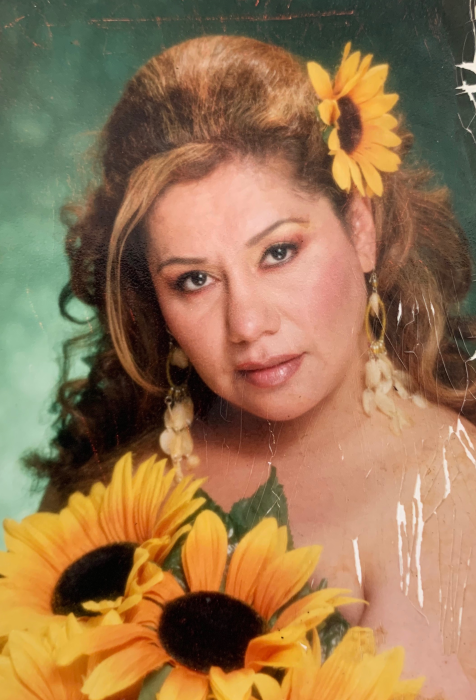 On January 14, Elena Sanchez passed away in Santa Cruz. She was 53. Elena was born on December 25, 1965 In Pacoima, California to her parents Roberto Sanchez and Herlinda Ramos. She was a vivacious woman that loved life and was devoted to her family. She enjoyed karaoke, dancing, shopping and spending time at the beach. She loved outings with family and friends and going to parties. Spending quality time with her children and other family members is what she treasured most. She was a resident of Watsonville. She is survived by her children, Fabian, Vanessa, Junior and Sandra; along with numerous siblings and her grandchild, Marcial. A visitation service will take place on Sunday January 27, 2019 at Ave Maria Memorial Chapel from 5:00-9:00 PM with a recitation of the Rosary at 7:00 PM. Mass will be celebrated on Monday January 28, 2019 at Valley Catholic Church in Watsonville at 10:00 AM.